At work, I've been an ASP.Net developer for several years now. It's an easy platform to get started with. It seems its original purpose was to approximate desktop applications. To the degree it does that, it has succeeded. I'm going to argue in this post that approximating desktop applications obscures the true nature of the web and in the long run makes web programming more difficult. In addition to ASP.Net, I also have experience in non-.Net web environments. Before my .Net days, I did some classic ASP. I've also created a Ruby on Rails site for my wife's father (Hiller Enterprises). So I get that the underlying model of the web is very different from the postback model of ASP.Net. This underlying model of the web is to take a request from a browser and return to it a response. Typically, this response will be HTML. The browser will then interpret and display the HTML in a meaningful way. The request sent to the browser will be either a GET or a POST. By convention, a GET is something you do when you want to "pull" data from a site. 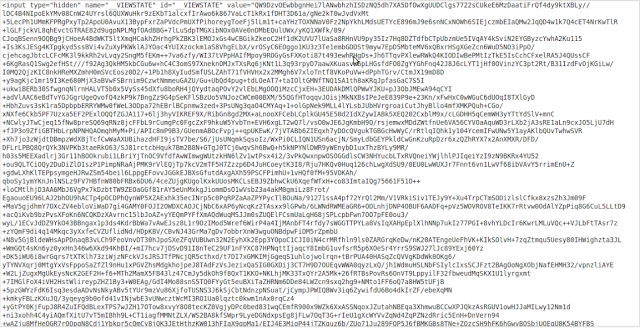 By virtue of that fact that you are reading this blog post, your browser did a GET to view it. A POST is what I did when I published this article to the web. I POSTed the text you are reading to blogger.com. OK, so now we know how to trigger a POST, but where does the form's data go. It goes to the URL specified in the form's "action" attribute. 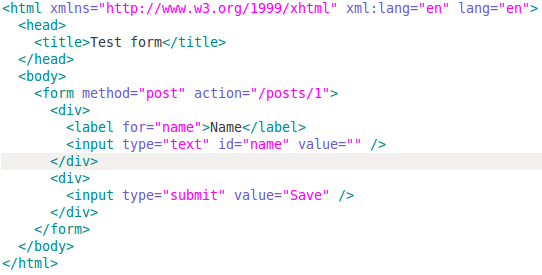 The web server connected with that URL then runs code to do the action the user intended using the form's data (e.g publishes a blog post). Often in a PHP, Ruby, Python, Perl, etc environment you will see multiple forms on a page. This is because pages can get complex enough for the user to do multiple things on a single page. Cool! So you can Login or Logout or Add to Cart or Change your Facebook status all from the same page. So what is different about ASP.Net? Well, ASP.Net uses what is called a server-side postback architecture. ASP.Net pages are restricted to just one form element. The action for that form always points back to URL corresponding to the page it is in. In other words, clicking on a submit button on a page POSTs the page back to itself. So given these complications, what is the advantage of ASP.Net? Why would anyone use it? I've distilled that answer down to one word. Yep, that's it. ViewState is the only advantage. Everything else can be done just as (or more) easily in traditional web programming. For those who don't know, ViewState is a magic hidden variable put into every ASP.Net page. 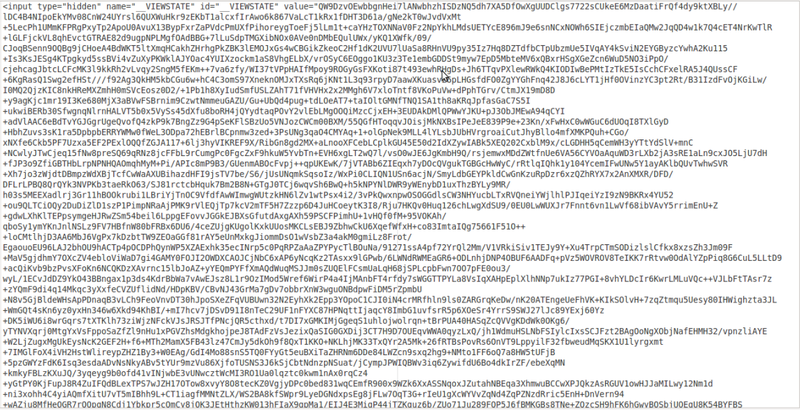 It contains a Base64 encoded string of key, value pairs. 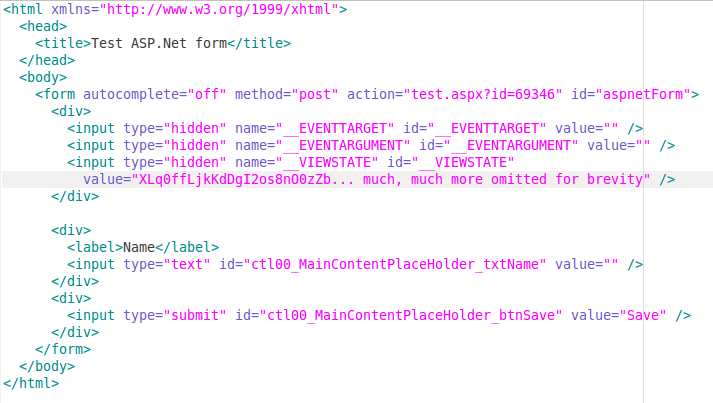 Each key, value pair corresponds with every HTML element found on the page. As you might imagine, it can grow very large. Its purpose is to maintain page state throughout postbacks. So if you can imagine a desktop application, the data in the fields is always preserved after any button is clicked. Viewstate is the mechanism to emulate that in the ASP.Net world. So the programmer can set the fields once when the page is first requested (on the GET) and ASP.Net will continue to re-populate them every time a user clicks a button on the page (which causes a POST). This is fairly convenient especially for the novice programmer. You don't have to re-pull the data from the database every time the page is posted back. In my opinion, this convenience breaks down upon closer inspection. If Viewstate didn't exist, the web programmer would simply need to explicitly redirect back to the same page after a submit. In general, this might not be a bad idea since it re-requests the page as a GET instead of a POST. This allows the user to refresh the page without getting the dreaded POST warning popup. This limitation can be worked around. However, it often restricts you from keeping all of your JS code together in one place on the page. Thus, debugging JS is monstrously difficult in ASP.Net. Likewise, CSS is difficult for the very same reason. It often causes you to create more markup than you actually need. For example, if you want to style something by ID in CSS (using the # prefix), this element cannot be a "server" control since its ID must not change. If you also need to manipulate it on the server, you'll have to create a wrapper server control around said HTML control. You now have markup that only exists to get around framework limitations. Either option is viable but requires a substantial time investment to perfect. So given what a horrible piece-of-crap ASP.Net is, is there ever a good reason to use it? In a word, CRUD applications. Essentially, ASP.Net is the web equivalent of the Microsoft Access database. If you need to quickly create a big form of data with a couple of buttons on it for users to save records, ASP.Net is better than the other frameworks (Maybe). If you are developing a site for the public internet, do not use ASP.Net. Virtually every other option is both easier and better.